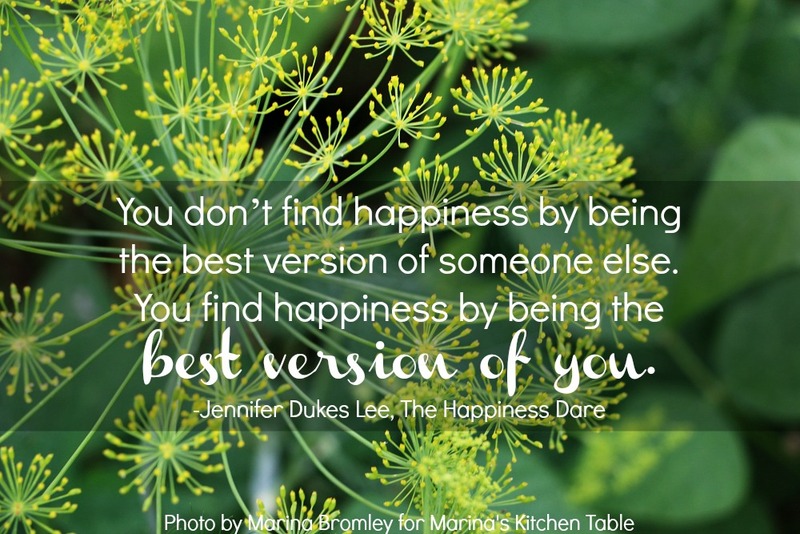 This past week's reading in The Happiness Dare by Jennifer Dukes Lee was challenging for me. Although I loved the Happiness Style Assessment, I wasn't sure of my results. I scored highest in the "Giver" category, but close behind in the other 4; all within 8 points of each other. 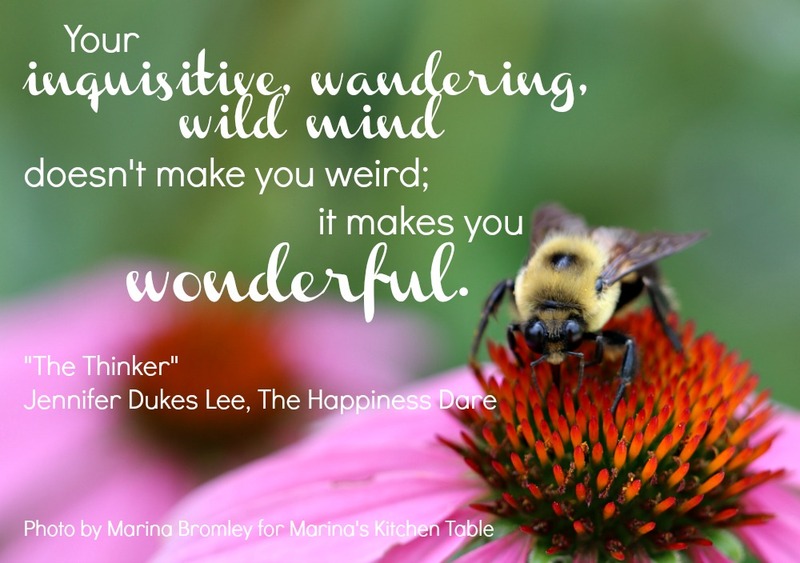 My other areas of Happiness Styles were Relater, Experiencer, Thinker and Doer, in that order. I struggled with the fact that my scores were all so close, and that I could relate to each of the categories in my life with strong examples of happiness shining through. I wasn't sure if having so many so close together was a good thing, or a bad thing. I landed with the fact that it's just a "God thing." 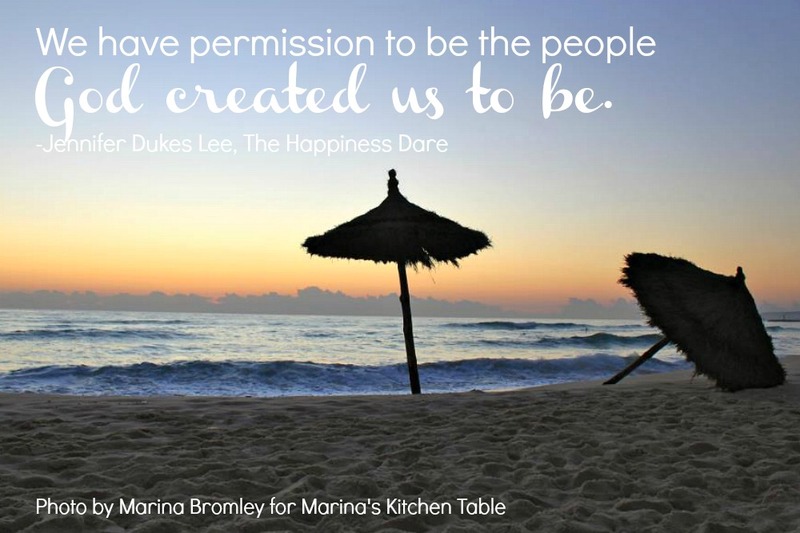 He created me this way, and through life's experiences I've had the opportunity to develop happiness traits in many ways. It's not as odd as I thought it was. I'm not THAT unusual. Many people have clusters of strong points, usually with two or three of the styles stronger than the others, but some people have all of them in the middle of the road like me. "Remember, there are no superior happiness styles. This test is not to quantify how happy you are. Rather, it is intended to single out your primary style so you can maximize your happiness in the way God made you." I look forward to completing the book in the next few weeks, and learning more about what to do to nurture happiness, and what obstacles there are to finding happiness in daily life. I also look forward to sharing this book with other women I know. Already we're talking about our need for happiness skills, especially as young moms are sending kids off to school, older moms are facing empty nesting, and we all are facing seasonal sadness and the loneliness of the holidays just around the corner. I plan to be well equipped to fighting for happiness this winter (and every other season of life). 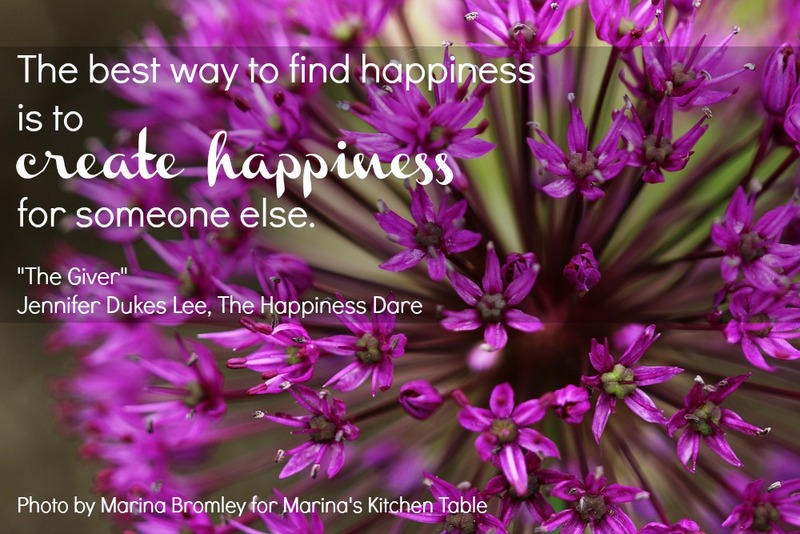 I received a free copy of The Happiness Dare from the publishers, with the benefits of a pre-read and share my honest opinions of the book.